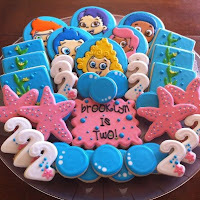 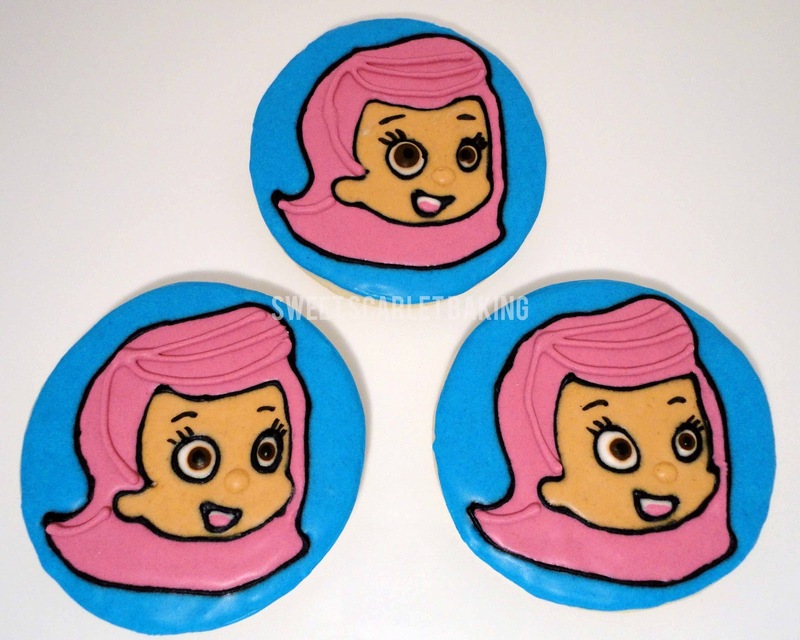 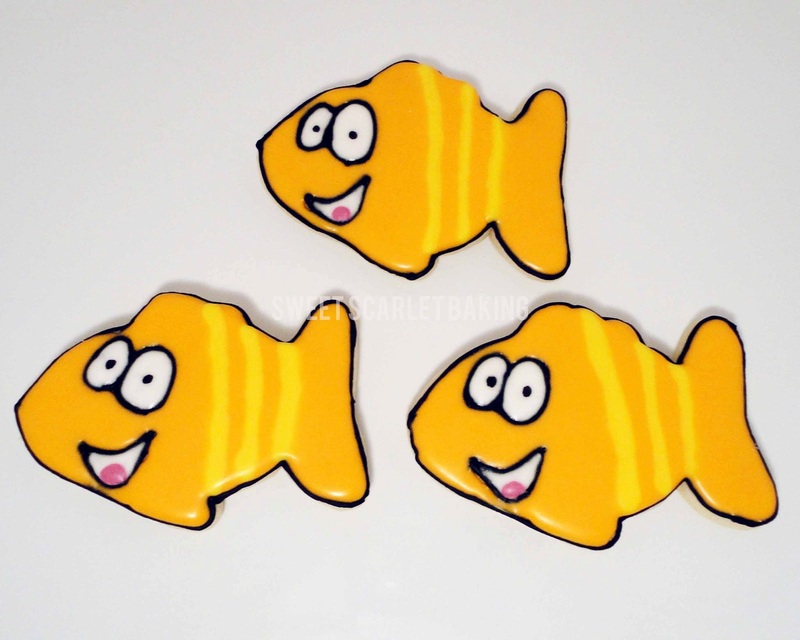 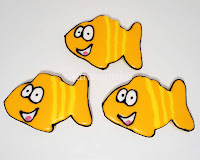 Sweet Scarlet Baking: Bubble Guppies! 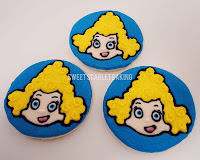 I didn't really know much about the characters, so I did some research and I was super inspired by these amazing cookies. 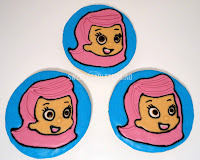 I can not find the artist, but wanted to post the photo to give credit for my inspiration. 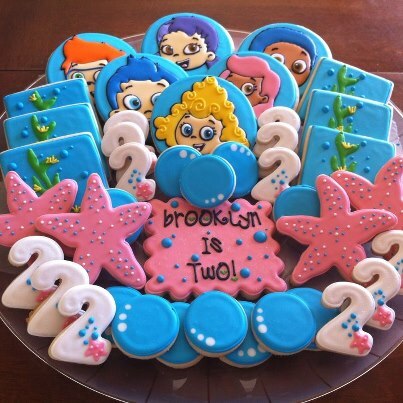 I wish my characters were as amazing as this artist's. 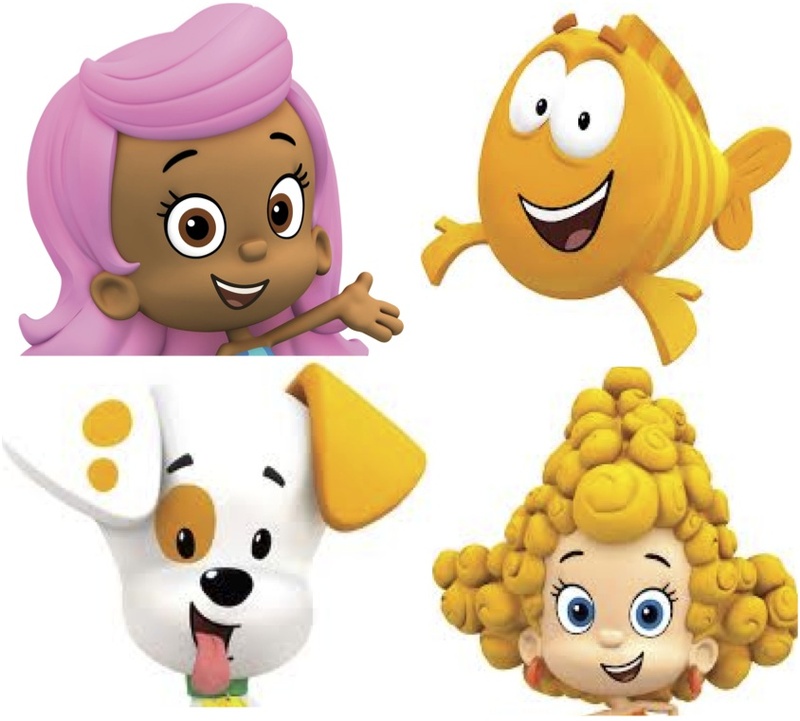 I decided to go with Molly, Mr. Grouper, Bubble Puppy and Deema as the characters. 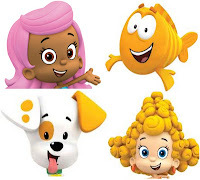 I used these images for my character inspiration. 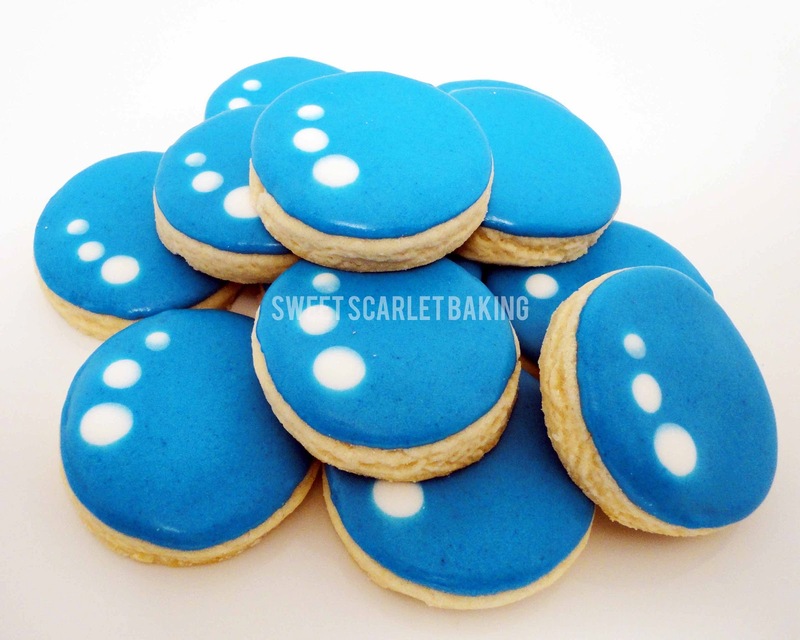 We added a dozen bubble cookie bites for some fun. 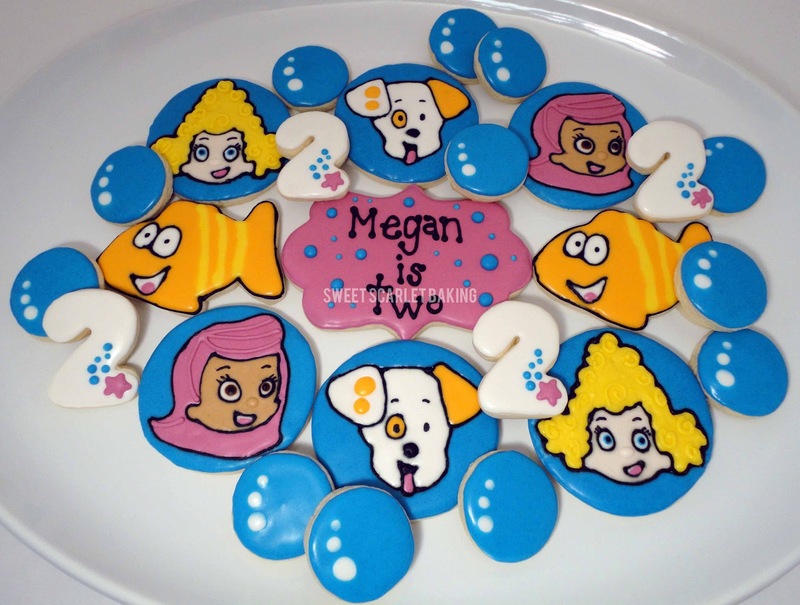 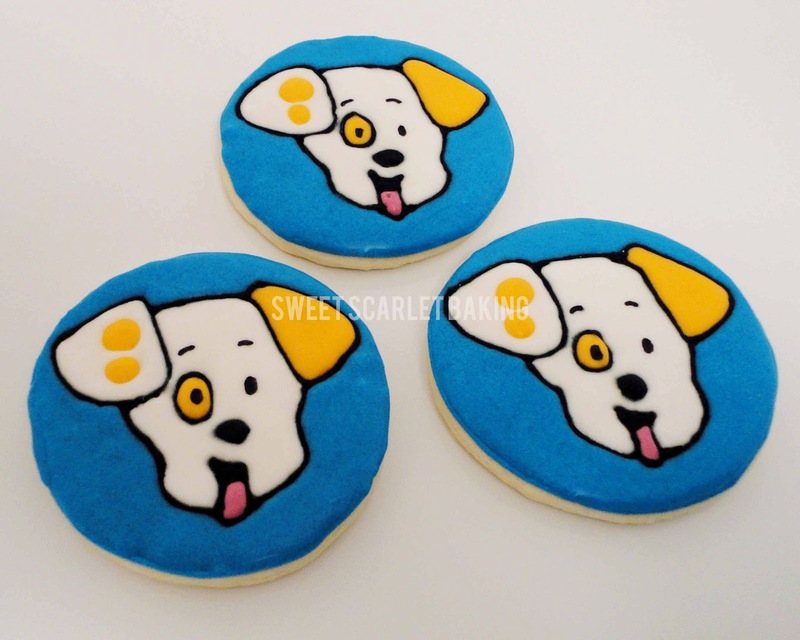 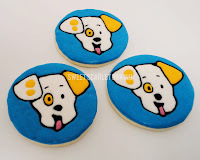 Not only did you do an amazing job on these cookies, they tasted excellent as well! 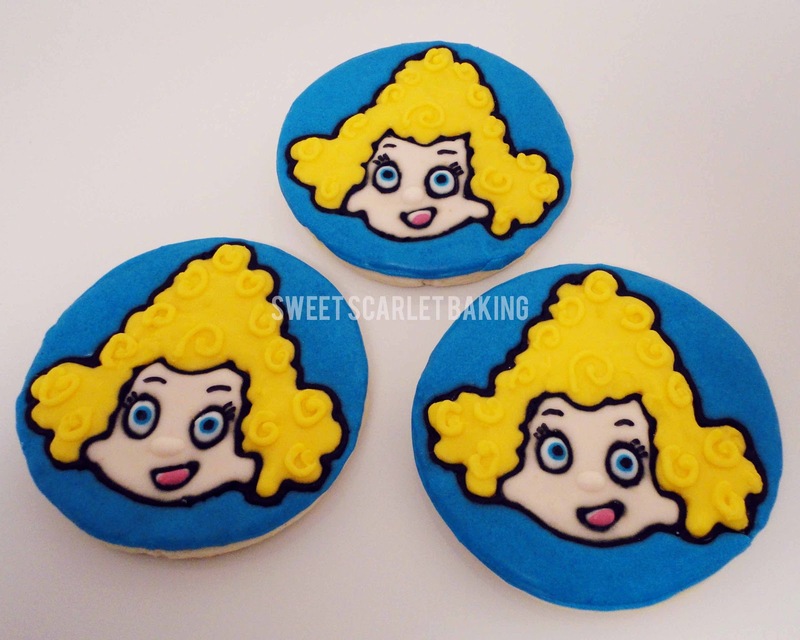 You always worry about that when you get such cute cookies - you think the taste has to suffer, but oh, not at all! 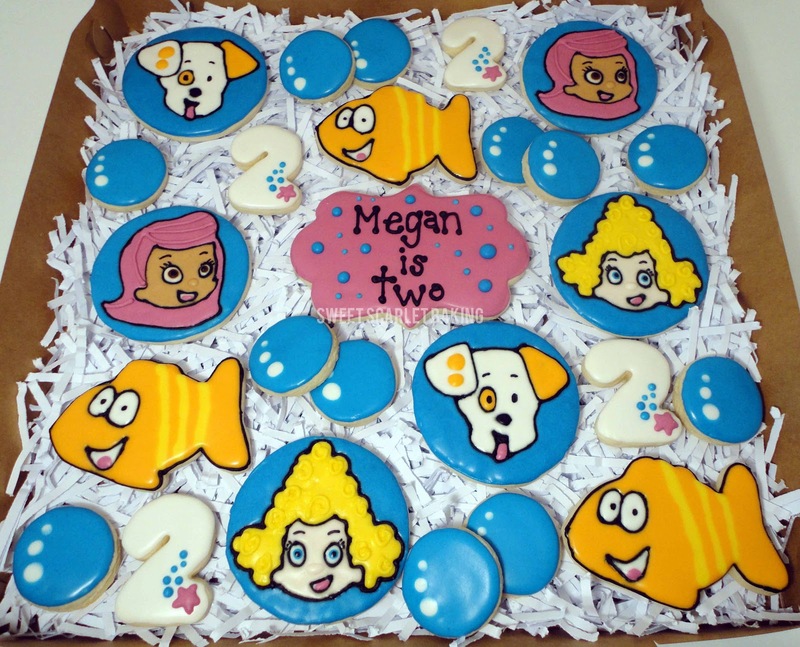 Thank you so much for the awesome cookies!! !